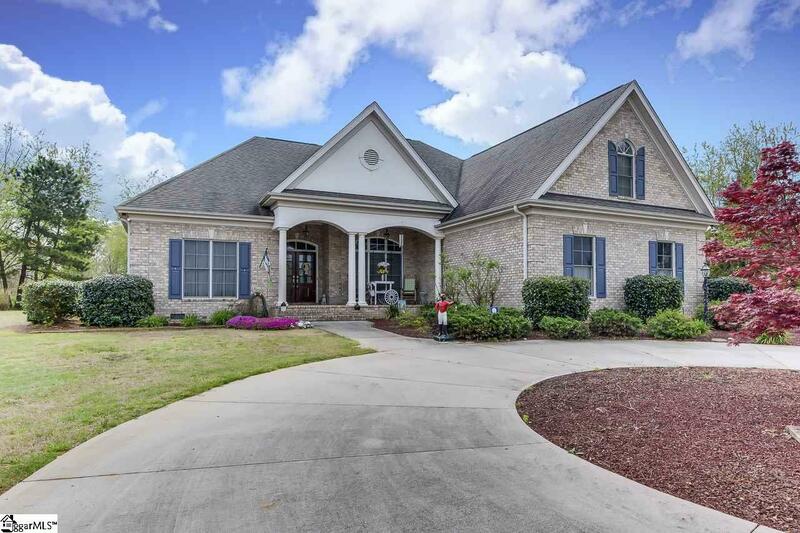 Rare find country oasis with almost 3 acres! 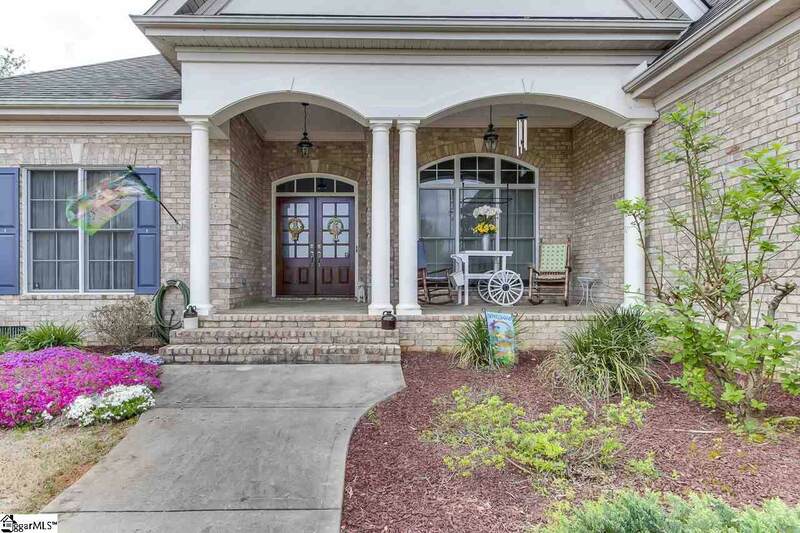 This custom built all brick home by Dunn Custom Builders will wow you as soon as you step up on the rocking chair front porch and take in the scenic views from the knoll top setting. The formal dining room features a decorative tray ceiling, chair railing, wainscoting and heavy moldings. The great room has high ceilings with heavy moldings, double sided fireplace, wet bar and gleaming hardwood floors. The gourmet kitchen has custom cabinets with soft close doors and drawers, gas stove, Corian solid surface counter tops, breakfast bar and breakfast area. Master bedroom is on the main level and has double tray ceiling, heavy molding, built in cabinets and large walk-in closet. Spectacular master bath with custom cabinets, double sinks, jetted tub, and large walk-in tile shower. Two additional bedrooms are on the main level with a Jack and Jill bathroom. Fantastic laundry room with custom cabinets and shelving. The 4th bedroom/bonus has a full bath and closet. Plenty of floored attic space for storage. 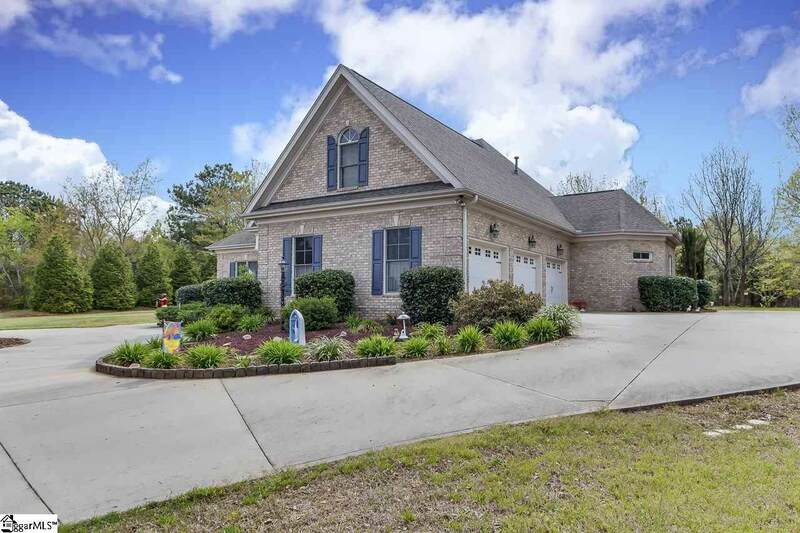 3 car garage with a sink, central vacuum, security system, front and back irrigation system. And one of my favorites is the awesome 17 x 30 screened porch overlooking the private backyard. Make your appointment today before this one gets away! Offered by Arnold Adams of Jan Rogers Partners R.E. Listing provided courtesy of Arnold Adams of Jan Rogers Partners R.E..